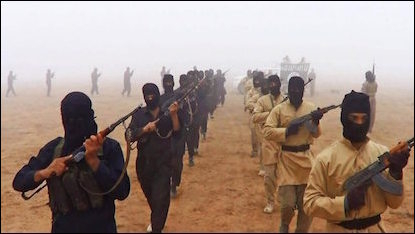 Islamic State commanders are trained in both religious doctrine and military tactics. Lengthy translation of a guide published by the Idarat al-Mu'askarat (Camps Administration) of Islamic State's Diwan al-Jund (Soldiers Department). The guide covers religious doctrine, physical fitness, and simple bureaucratic procedures (keeping track of inventory, resolving disputes between military leaders and local administrators, applying for leave permits, requesting suicide operations, etc.). It is clear from the guide that the positions of military amir and security amir in each Islamic State wilaya (province) are separate. Mr. Tamimi examines a series of internal IS documents, many published here for the first time, that show IS has come under strain as it's pounded by coalition air strikes and loses territory. These pressures have been felt in the group's military, financial, and administrative domains, forcing it to take measures to react and adapt. But there is little prospect of a collapse anytime soon. Populations under Islamic State rule are accustomed to suffering, he notes, and will likely stomach further decreases in their quality of life rather than rebel and risk a brutal crackdown. A profile of a new pro-regime Palestinian militia in Syria that explicitly identifies itself as "secular leftist." Includes a translation of the group's official account of its formation and excerpts from its charter (e.g. "destroying the Zionist entity in all its pillars."). According to Mr. Tamimi, its military role has so far been "very limited." 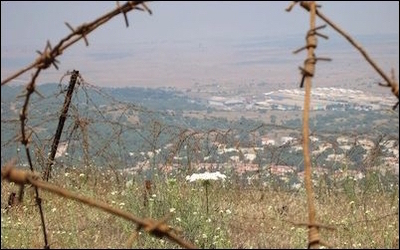 An in-depth look at the various Sunni jihadi groups operating in the south of Syria near the border with the Israeli-controlled Golan Heights and the threat they pose to Israel's security. Mr. Tamimi concludes that "the risk posed to Israel by the various Sunni jihadi groups in southern Syria is low," owing mainly to the fact that they "are heavily embroiled in infighting and have far greater priorities than to focus their energies on Israel." A profile of the Leopards of Homs, one of several pro-regime militias operating with support from the Al-Bustan Association of Rami Makhlouf, a cousin of Syrian President Bashar al-Assad. Although the militia's sectarian affiliation is not evident from its insignia, the majority of its announced "martyrs" appear to come from Alawite areas. A profile of the Local Defence Forces (Quwat al-Difa' al-Mahalli – LDF), a distinct group of militias set up in 2012 by Iran as an auxiliary force for the Syrian army in the Aleppo area. LDF claims to have 50,000 fighters, but this is likely an exaggeration. In contrast to many other pro-regime militias, Mr. Tamimi observes, LDF has had some success "organizing local pro-Assad support networks ... that transcend the sectarian divide to a degree." Examines the apparent merger of two IS-affiliated Syrian Sunni jihadist groups, Liwa Shuhada' al-Yarmouk (LSY) and Harakat al-Muthanna al-Islamiya (HMI), which Mr. Tamimi calls an Islamic State "attempt to reorganize and revitalize the southern front against [moderate] rebel factions" following the failure of a recent offensive against them. The move follows LSY's appointment of a new leader in March. Mr. Tamimi examines the announced martyrs of Liwa al-Sayyida Ruqayya, a Syrian Shi'a militia named for the Sayyida Ruqayya shrine in Damascus, to trace its evolving affiliations. Related Topics: Iraq, Israel & Zionism, Syria | Aymenn Jawad al-Tamimi receive the latest by email: subscribe to the free mef mailing list This text may be reposted or forwarded so long as it is presented as an integral whole with complete and accurate information provided about its author, date, place of publication, and original URL.